The Asus Fighter Jet. Each iteration of the core Asus G Series gets better and better and the G750 series is no exception. The ROG branding has yet to let us down as we find out in this review what the new 2013 models bring aside from the obvious Haswell and GTX Kepler refreshes. While the G750JW is an impractical laptop for everyday use, it’s a hugely capable gaming machine. It’s possible to spend more on models with Blu-ray drives, faster GPUs and other fripperies, but the G750JW strikes a sensible middle ground: there’s ample power for modern games, wrapped up in a burly chassis, at a price that compares well to rivals from Alienware. If you can live with the over-the-top styling, this laptop is highly recommended. Positive: Good performance; good emission; good sound system. Negative: Narrow viewing angles of the screen. 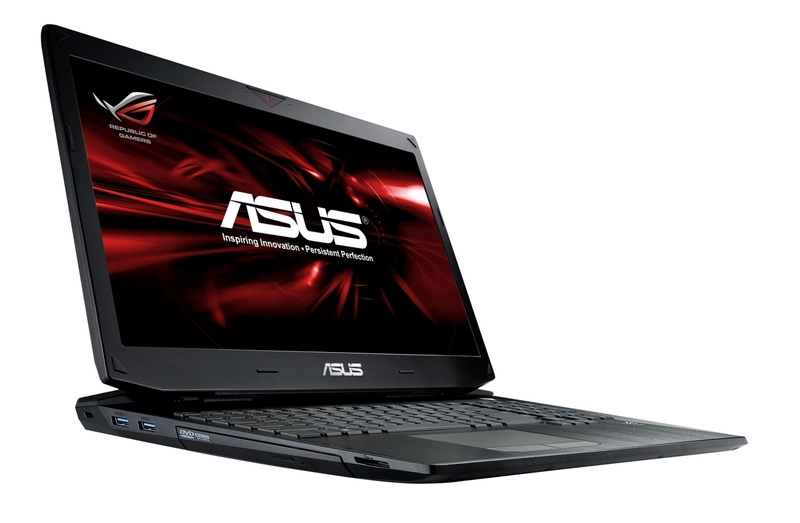 The Asus G750JW-T4031 provides all the power you could want at a budget friendly price. The 17 inch Asus G750JW-T4031 is a heavy beast at 3.9kg, which puts it firmly in the desktop replacement category. The fourth generation Haswell Intel Core i7 4700HQ with 2.4 GHz is the best of what one could hope for at this price range. Its integrated Intel HD graphics and the powerful NVIDIA GeForce GTX 765M work efficiently and the Haswell architecture is used to save energy. So, the most demanding games can be played on highest settings, which is unbelievable considering the price. The glossy full HD 17.3 inch display is gorgeous and a subwoofer provides audio quality that is surprisingly good and loud for a laptop. The Asus G750JW-T4031 is a gamer's delight, a media powerhouse, and a machine capable of some of the most intensive tasks. Those wanting to edit videos on a at least somewhat portable device will find this laptop desirable. What are the disadvantages? It is designed and built like a stealth plane: all matte black and rock solid. The only downside is the heaviness and thickness of the device. But, it does not at all appear like a downside considering performance for price.